A break-out quirky novel about an invisible girl that will appeal to readers of Rainbow Rowell. A break–out quirky novel that will appeal to readers of Rainbow Rowell. Plagued by a gypsy curse that she'll be invisible to all but her true love, seventeen–year–old Olive is understandably bitter. Her mother is dead; her father has taken off. Her sister, Rose, is insufferably perfect. Her one friend, Felix, is blind and thinks she's making it all up for attention. 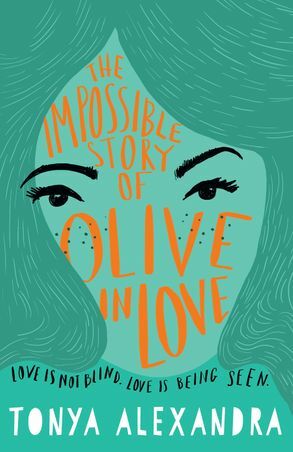 Olive spends her days writing articles for her gossip column and stalking her childhood friend, Jordan, whom she had to abandon when she was ten because Jordan's parents would no longer tolerate an 'imaginary friend'. Nobody has seen her – until she meets Tom: the poster boy for normal and the absolute opposite of Olive. But how do you date a boy who doesn't know you're invisible? Worse still, what happens when Mr Right feels wrong? Has destiny screwed up? In typical Olive fashion, the course is set for destruction. And because we're talking Olive here, the ride is funny, passionate and way, way, way, way dramatic. This story is for anyone who's ever felt invisible. This story is for anyone who sees the possible in the impossible. Tonya has over twenty years experience writing for print, television and the web. She currently lives near Manly with her family, making art, working as a TV extra and volunteering as a Lifeline crisis supporter while writing fiction. Her latest book, 'The Implausible Story of Olive Far Far Away', is the sequel to 'The Impossible Story of Olive in Love'. To find out more, visit Tonya on her website. You can also follow Tonya on Facebook and Instagram.